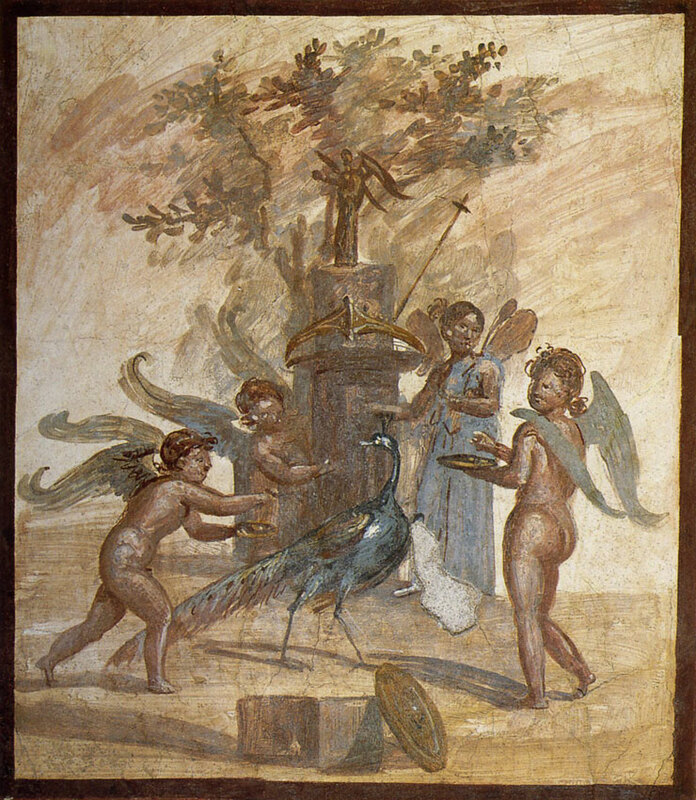 Fresco of the 4th style from Pompeii (House of the Bronzes, VII, 4, 59). 60 × 53 cm. Naples, National Archaeological MuseumInv. No. 20879. Cupids and Psyche making sacrifices. © 2001. Photo, text: Pompeii. Images from the buried cities. Electa, Napoli, 2001, p. 72—73, no. 24.